Near the school, good for sakura. Good views of the Inland Sea. 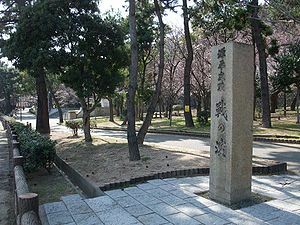 About a 20 minute walk from Suma JR station, you will come to the beginning of the rope way. The rope way is in three stages with small parks at each stage. If you want to walk up: walk towards Shioya along the main road till you reach a stream and an overhead conveyor belt for earth moving. Just past the stream is a trail leading up steps to the top of the mountain. When you reach the top you can go left to the rope way, or right towards Kobe. The trail to the right will follow the ridge until it comes to a long set of steps leading down to a highway. At the bottom, turn right and you will come to Suma. A good afternoon walk. Can be done in a day but two days would be better. There are many hotels (of all types) available, this is a big city. Reservations can be made at the Tourist Centre outside the train station. From Kobe take the JR to Okayama changing at Himeji. The trip to Okayama is long, and if time, rather than money, is important, it would be better to take the Shinkansen from Kobe to Okayama (alt: JR to Nishi Akashi, Shinkansen to Okayama). At Okayama change for the train to Takamatsu, which doesn’t run too frequently. This train crosses a very long bridge to Shikoku, with good views of the Inland Sea. From Takamatsu Station walk straight ahead along a wide street to the garden – about 20 minutes. The garden is beautiful anytime of year. 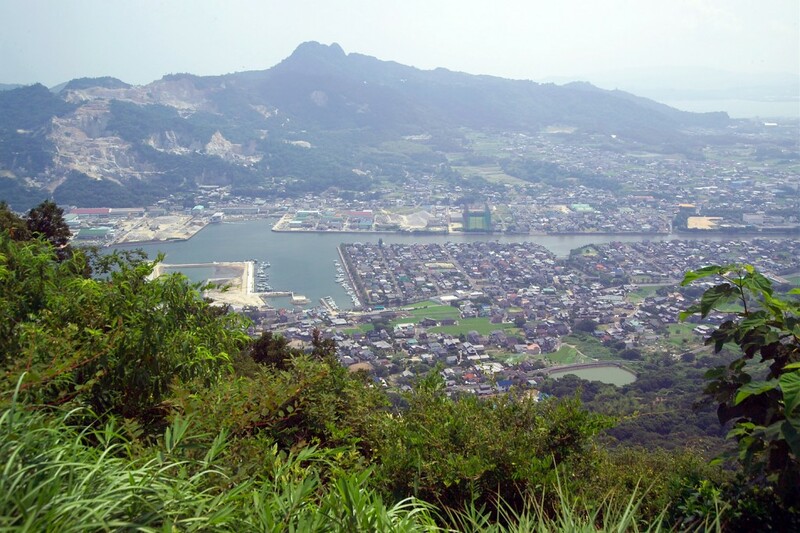 A short bus ride out of town is Yashima, a nice park on a hill overlooking the city and the Inland Sea. There are many ferries from Takamatsu going to Kobe, Osaka, Shodoshima, and other points.